American Urbex has a Flickr group. Add your photos to the pool and it may be featured here. Photo: Lusker 41 captures the remains of the United States Military Industrial Complex. Photo: bpdphotography proves he’s not a vampire and faces the morning sunlight to capture this shot. 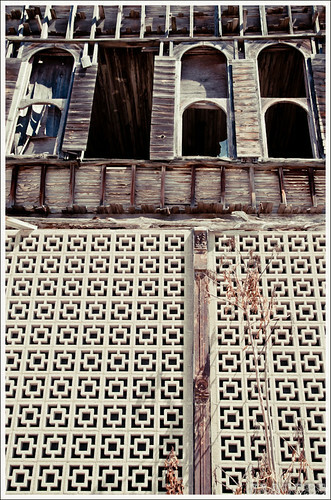 Photo: JJACOBSphotography explores the bleak wasting of Cairo, Illinois. Photo: Bart of urban-travel.org finds some fascinating wallpaper in an old hotel.